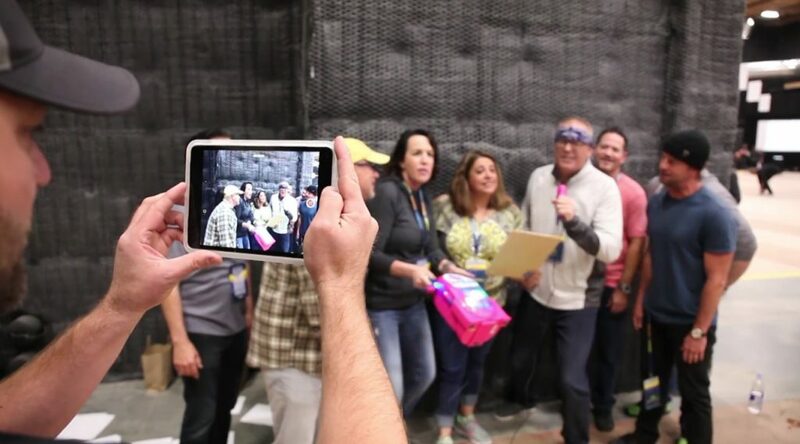 The Team Circuit SmartHunt® is a set of high-energy, high-tech, team building activities delivered in and around your resort, meeting space or venue. In this high-tech competitive event, teams rotate through a series of physical and mental challenges as well as games of chance to earn the most points possible! Teams will use the SmartHunts app on the provided team iPads to guide them, record points, and to document the experience with photos and videos. Teams will have just over 2 hours to earn as many points as possible by completing multiple fun and achievable challenge station activities, while also completing bonus missions along the way. Designed to foster the key characteristics of high-performing teams such as teamwork, communication, and collaboration, this event offers opportunities for all team members to actively participate. 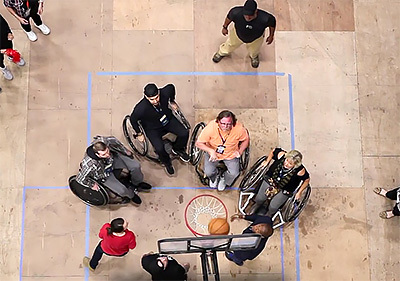 Participants who aren’t able to complete the more physical challenges can assume roles as cheerleaders, scorekeepers, photographers and technology operators. The venue would be arranged with a circuit of challenge stations set up at the location. For this activity, we recommend a large ballroom or an open area around a resort property. After an energizing event introduction by the SmartHunts Lead Facilitator and quick training on how to use our SmartHunts app, two teams are assigned to each challenge station where they will begin the circuit of challenges. SmartHunts can incorporate numerous activity options for all levels of physical and mental ability. After completing the first challenge station, teams rotate to the next stop in opposite directions, ensuring that they meet up with different teams at each location as they move along the circuit. As teams are completing challenges and shooting photos and videos on their provided iPad, a game show feel is created with a live leaderboard displayed in the room for all to see! This results in a heightened sense of competition amongst teams as they see their scores compared to other teams. SmartHunts can deliver this event in a more open format, where teams can visit the numerous challenge station activities in any order they wish, rather then having to follow a pre-assigned circuit. Our facilitation team is able to handle multiple teams simultaneously at many of these challenge stations. 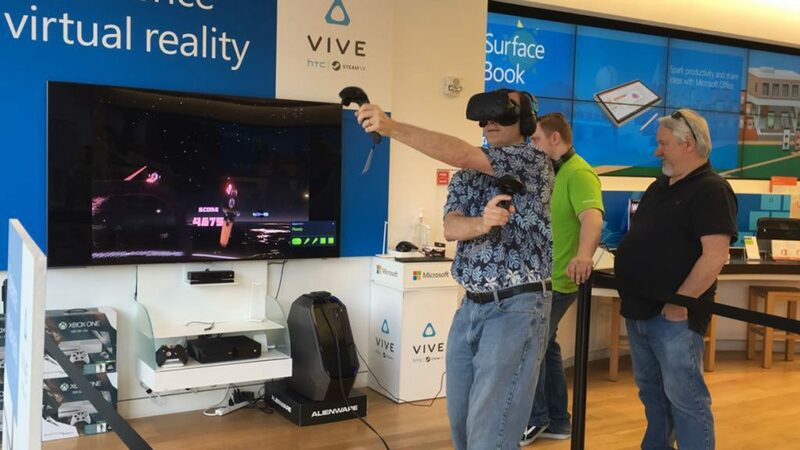 Since time is of the essence, teams tend to naturally find their way to the challenge stations that are least occupied so as to earn the most points in the time allotted. 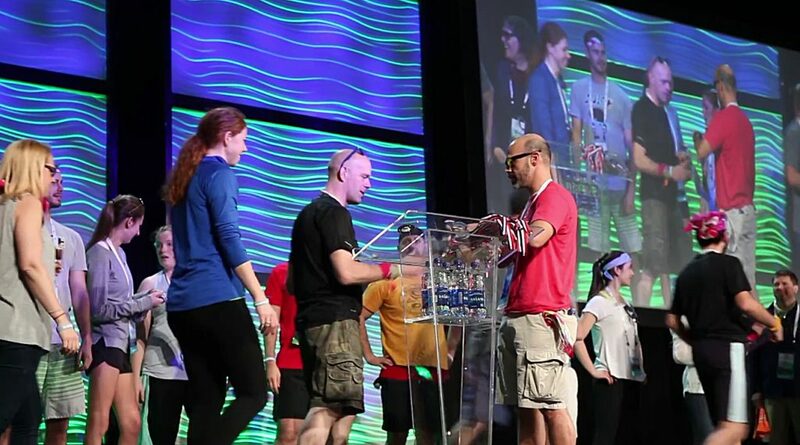 At the conclusion of the SmartHunt event, all teams gather for the event wrap-up, complete with an Olympics-style awards ceremony and slideshow. The awards ceremony includes the announcement of the top three scoring teams and medals are provided to each member. The slideshow is a multimedia experience that includes a highlight real of photos and videos captured by teams during the event using the SmartHunts app. This highlight real is ready instantly due to the Facilitator App’s ability to access submitted media in real time. This slideshow is considered by many as one of the multiple highlights of the event! After your Team Circuit SmartHunt®, we will send you a secure link to a private webpage that contains all the photos and videos shot by your group. The page also includes a professional highlight video that will be provided two weeks post event date. Whammy: The main goal of the game is to earn as many points or prizes as possible through collecting spins by answering trivia questions correctly during a speed trivia blitz on the SmartHunts app, then using those spins on a game board to win various prizes and point/cash amounts while attempting to avoid the show’s eponymous character, the “Whammy.” Contestants who do land on a Whammy lose all their teams prizes accumulated to that point; four Whammies eliminate a team from the game. In the SmartHunts version, teams answer 20 trivia questions in the SmartHunts app. They earn 1 spin for each correct answer. Team members take turns spinning the wheel to accumulate points while attempting to avoid the Whammy. Teams that land on a Whammy lose all points accumulated to that point; four Whammies eliminate the team from the game. Plinko: You’ll see the excitement build as teams “plink” their way to prizes or points. The strategy is simple: players place a chip against the board, drop it, and it bounces through the maze before landing in a slot where you are awarded a prize. The number of drops each team gets depends on how many trivia questions they answer correctly in the Plinko Trivia Blitz section of the SmartHunts app. Our oversized 6.5’x5′ Plinko board allows numerous spectators to watch the fun! Angry Catapult Challenge: Based on the #1 selling video game in the world, this real world competition has your team members using all the pieces given to build a structure. The structure must be at least three stories high. Then your remaining team members must knock down the structure with a 3-person slingshot. Each team must also free the birdie to complete this physics laden challenge. For added fun, teams could first be required to play the Angry Birds video game. Their score in the video game equates to the number of objects they earn to launch at the structure. Back Flip– In increments of 2, place pencils on the back of the hand and then flip them off and catch all of them ending with 12 total pencils. Face the Cookie – Using only the face, move cookies from the forehead to the mouth. Ping-Tac-Toe– In this game, the team must get Ping-Pong balls to land in water-filled glasses. There are nine glasses and the team will bounce Ping-Pong balls until they complete one three-ball line. Kaizen – Kaizen is the “art of continuous improvement”. In this high-energy activity, the team surrounds a circular area on the ground and is given the task of touching a series of 25-30 numbers in sequence against a stopwatch while adhering to a set of challenging rules such as: only 1 person in the circle at a time, no one can touch 2 numbers in a row, and everyone must touch at least 2 numbers. The team must complete the task under 60 seconds to earn their points. Strategy, teamwork and communication are key to success in this activity. Stepping Stones – In this multi-tasking/problem solving initiative, teams make their way from point to point using only the props provided. After a practice and goal clarification session, the team will have to avoid the penalties that may cost the team valuable resources. Along the route, they must complete a number of challenging brainteasers and collect puzzle pieces to assemble. Teams have a limited amount of team to complete this challenge successfully. Pipeline – The team must transport as many marbles as possible to a designated container using only the tools provided, while adhering to tough “quality” parameters and successfully forecasting their expected results. The rules may be adapted to simulate dynamics in multiple project teams. Mass Pass – Mass Pass is a fast paced, high-energy activity involving communication, teamwork, and planning skills. 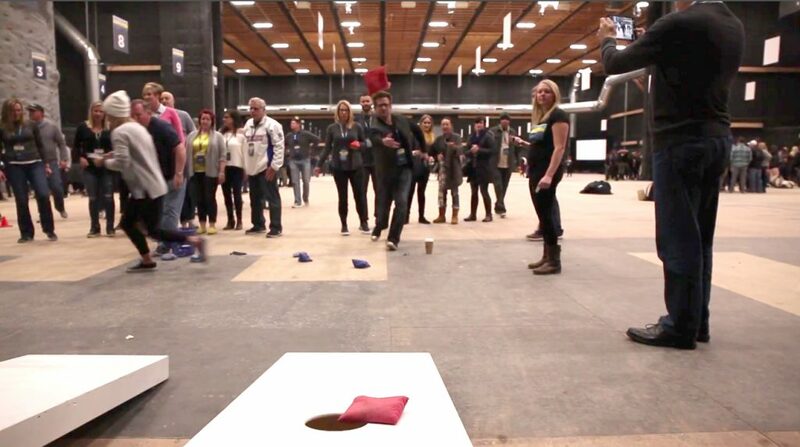 Each person is active and essential to the groups success as the game requires the group to create the most efficient system for tossing objects (i.e. – stuffed animals, tennis balls, etc.) across a boundary area to everyone on the team as quickly as possible. Adapting to change “on the fly” is a critical skill as teams strive for process improvement during subsequent rounds attempting to post the highest score possible! Memory Challenge – Two identical sets of cards are shuffled and laid face down in a grid pattern. The team is lined up approximately 20 feet away. One at a time, team members cross the line and flip 2 cards over. If they match (i.e. – 2 Aces of Spades) they leave them face up, if not they turn them back over. Teams continue this process until they successful uncover all the correct matches under tight time constraints. Wacky Obstacle Course – Teams will attempt to complete a wacky obstacle course in a limited amount of time. Activities may include: balance beam walk, Pipeline, Hula Hoop pass through, Team Skis, Stepping Stones and many others! Team Chop Sticks – Each team member receives 1 large dowel rod and must work together with other team members to transfer objects from 1 location to another by only using the rods “chop sticks” style. Team Skis – Each team is provided with a set of canvas team skis. Using only these props, the team must work together, with everyone placing their left feet on a piece of canvas with ropes attached and right feet on the other, to “walk” from the start to the end location. Penalties are assessed if anyone falls off the skis and touches the ground. Bull Ring/Precious Cargo – The group uses a device to transport precariously balanced objects through a marked-off obstacle course. This activity requires precise coordination, cooperation and innovation to keep the cargo from dropping. This activity highlights the need for a coordinated effort and effective leadership in any goal driven task. Mine Field – Team members split into teams of two. One of the two will be blindfolded. 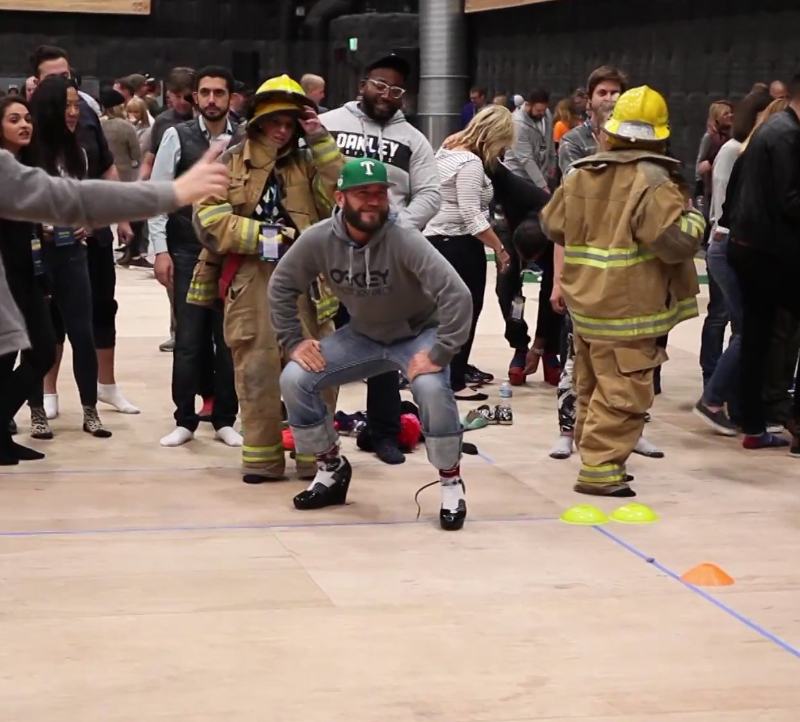 Blindfolded team members enter a course filled with “mines”. The sighted teammate will use only verbal skills to guide the blindfolded person through the course while gathering objects along the way. Clear communication and trust are essential! 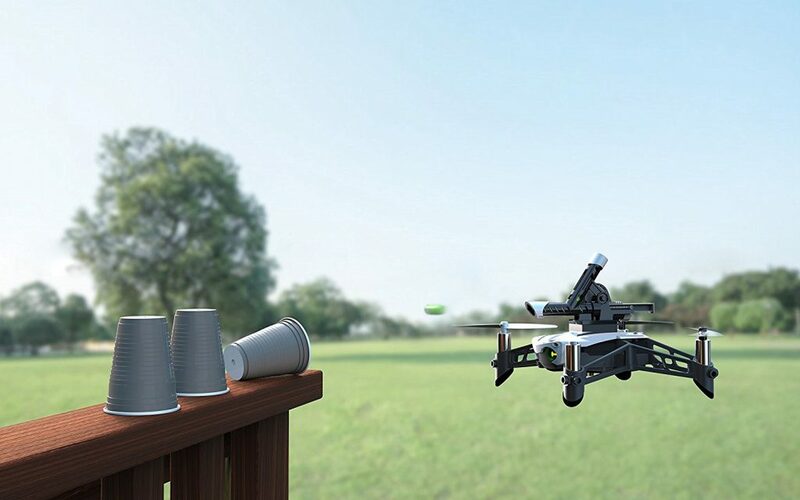 Drone Obstacle Course : One of the most fun and popular event add-ons is the Drone Obstacle Course Challenge, which involves each team having a chance to learn how to fly a drone and then negotiating an obstacle course. This obstacle course will test the teams’ drone piloting skills! Each team member gets a shot at completing the course. This optional Drone Station Add-on will be facilitated by a SmartHunts staff member and will include multiple Parrot Mambo Mission drones. Apple TV Arcade: Traditional, as well as not so traditional video games using Apple TV gaming consoles. 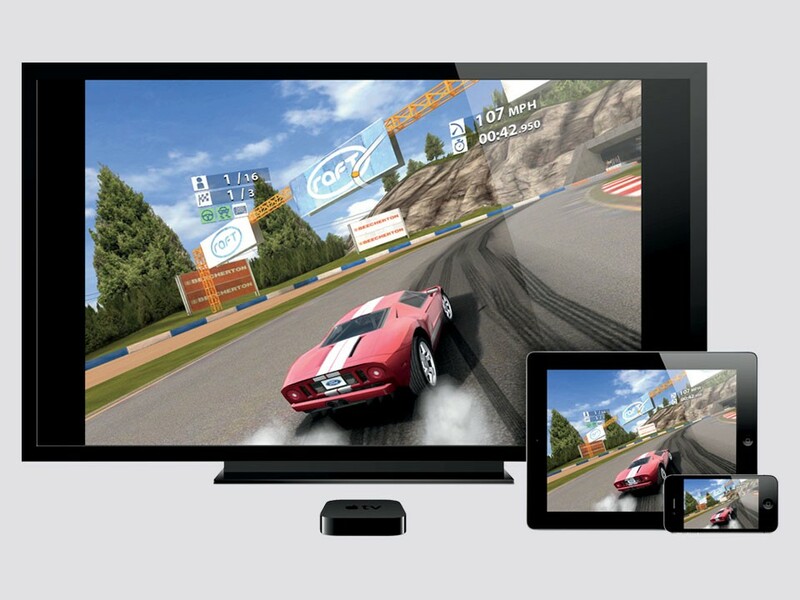 Many of the same great games you have come to know and love on your mobile devices are available in large screen format via Apple TV Arcade. Play Angry Birds, Asphalt 8, Crossy Roads, Minecraft, Pac Man, Octodad, Skylanders, and Real Racing 3 to name a few. This is exciting and fun team competition!